Demden has built a nationwide network of experienced and professional Xypex applicators. 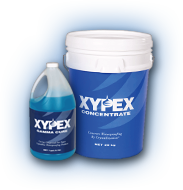 Every applicator has been trained in the proper use of Xypex for concrete repair. Select your region below to find a Xypex applicator near you.